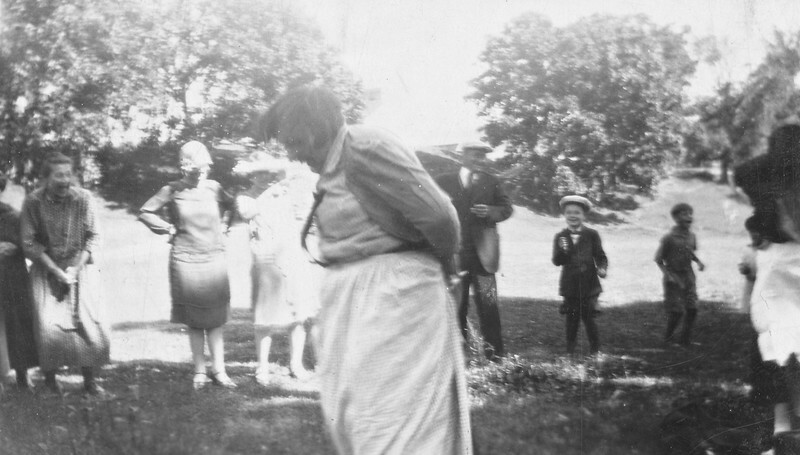 Caption on back - "Katie Bickert (dressing contest)"
Laughing lady in back on left is Mary Tschumper Von Arx, paternal aunt of Verna Tschumper Von Arx. Lisa remembers her as "Tanta." Mary Tschumper Von Arx was born in 1872, daughter of Emil Tschumper and Veronica Hickey Tschumper. The laughing lady is Mary Tschumper Von Arx, paternal aunt of Verna Tschumper Von Arx. I think Lisa remembers her as tanta?